The Contemporary Cake Decorating Bible: Flowers: Learn how to make sugar flower embellishments and decorations and create 7 easy-to-achieve floral cake designs for decorated cakes, mini cakes, cupcakes and cookies with this stunning booklet of sugar flower deigns and techniques from the bestselling The Contemporary Cake Decorating Bible. 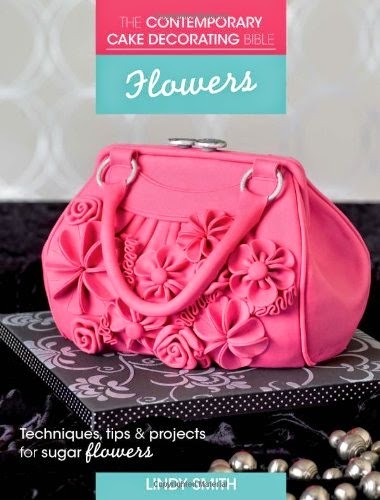 Includes sugar and royal icing recipes, instructions for storing and transporting your decorated cakes and covering cake boards, plus all the cake decorating techniques you need to know to create stunning sugar flowers, from rolled fondant roses and sugar dahlias, to realistic poppies and sugar peonies. Try out your new sugar flower-making skills with 7 gorgeous cake designs, featuring sugar flower cake toppers and embellishments on celebration cakes, cupcakes, mini cakes and cookies.